آب به‌عنوان یک پدافند غیرعامل مهم محسوب می‌شود، به‌طوری که یکی از راهکارهای تهاجم دشمن به‌ویژه در مناطق مرزی کشور (مانند خراسان جنوبی) تسلط بر منابع آبی حداقلی منطقه است. همچنین رشد تقاضا و حجم ثابت منابع آب شیرین تجدیدپذیر منجر به کمیابی آن شده و زمینه را برای توسعه نظریه‌های علم و اقتصاد با موضوع تخصیص منابع کمیاب فراهم شده است. هدف از پژوهش حاضر، بررسی عوامل مؤثر بر الگوی مصرف آب شرب برای منابع کمیاب با استفاده از نظرات کارشناسان با بهره‌گیری از ‌روش‌های تحلیل سلسله مراتبی و TOPSIS است. نتایج نشان داد که راهبردهای اعمال تعرفه‌های متناسب با شرایط و هزینه‌های تولید و توزیع، تهیه و به‌کارگیری برچسب بهره‌وری آب بر روی کلیه تجهیزات و لوازم خانگی، استفاده از کاتالوگ‌های آموزشی و هشدارهای تبلیغاتی جهت کاهش مصرف آب، نصب وسایل و تجهیزات مصرف آب در مدارس و مراکز آموزشی و بعضی از مساجد و نگرش جامع منابع آب در ایران، بهترین راهبرد در میان راهبردهای الگوی مصرف آب شرب مناطق خشک است. نتایج این پژوهش نشان می‌دهد که ترکیب مدل فرایند تحلیل سلسله مراتبی و شباهت به گزینه ایده‌آل(TOPSIS) می‌تواند در بررسی و اولویت‌بندی راهبردهای الگوی مصرف آب شرب مورد استفاده قرار گیرد. Water is considered a passive defense means. One of the strategies of enemy invasion, especially in the border areas of the country (such as South Khorasan) is to dominate the minimal water resources in the region. Also, the growth in demand and the constant volume of renewable fresh water resources has led to water scarcity which in turn has provided the grounds for the development of science and economics theories on the issue of scarce resources allocation. The purpose of this study was to investigate effective factors on drinking water consumption pattern for scarce resources using experts' opinions and employing Analytical Hierarchy and Topsis Analysis (TOPSIS) techniques. 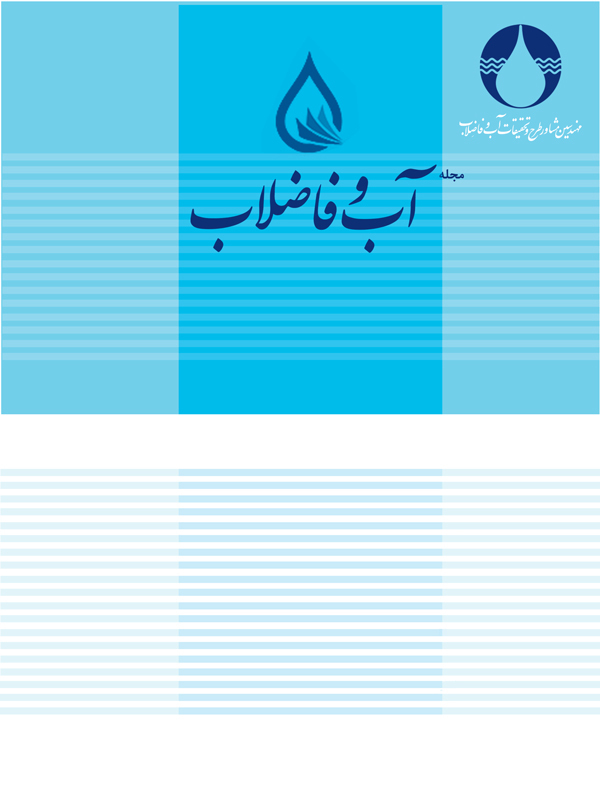 The results showed that the strategies of applying tariffs in accordance with the conditions and costs of producing and distributing, preparing and applying water efficiency labels on all equipment and household appliances, using educational catalogs and advertising warnings to reduce water consumption, installing equipment for water use in schools and educational centers and some mosques, and comprehensive water resources (which we lack in Iran) are the best strategies among drinking water consumption patterns in arid regions. The results of this study indicated that the combination of the Hierarchical Analysis Process model and the Ideal Likelihood Option (TOPSIS) can be used to examine and prioritize the patterns of drinking water consumption. Aliewi, A., El-Sayed, E., Akbar, A., Hadi, K. & Al-Rashed, M. 2017. Evaluation of desalination and other strategic management options using multi-criteria decision analysis in Kuwait. Desalination, 413, 40-51. Bakhoum, E.S. & Brown, D.C. 2013. A hybrid approach using AHP-TOPSIS–entropy methods for sustainable ranking of structural materials. International Journal of Sustainable Engineering, 6(3), 212-224. Karahalios, H. 2017. The application of the AHP-TOPSIS for evaluating ballast water treatment systems by ship operators. Transportation Research Part D: Transport and Environment, 52, 172-184. Mutikanga, H.E., Sharma, S.K. & Vairavamoorthy, K. 2011. Multi-criteria decision analysis: A strategic planning tool for water loss management. Water Resources Management, 25(14), 39-47. Panagopoulos, G.P., Bathrellos, G.D., Skilodimou, H.D. & Martsouka, F.A. 2012. Mapping urban water demands using multi-criteria analysis and GIS. Water Resources Management, 26(5), 1347-1363. Saaty, T.L. 1990. How to make a decision: The analytic hierarchy process. European Journal of Operational research, 48(1), 9-26. Tyagi, M., Kumar, P. & Kumar, D. 2014. A hybrid approach using AHP-TOPSIS for analyzing e-SCM performance. Procedia Engineering, 97, 2195-2203.